Hepatocellular carcinoma is emerging as one of the most common forms of cancer resulting in thousands of death worldwide. The purpose of this study was to screen nimesulide for anticancer activity in chemically induced hepatocellular carcinoma in Wistar rats as well as in BEL 7402 and HEP G2 cell lines. HCC in rats was induced by administering a single dose of diethyl nitrosamine (150 mg/kg) intraperitoneally. Duration of the in vivo study was 12 weeks and the anticancer potential was further confirmed by in vitro cell line study. Administration of DENA in Wistar rats significantly elevated the levels of serum biochemical parameters and α-feto protein. Treatment with different dose of nimesulide significantly decreased the markedly raised serum levels of biochemical parameters as well as maintained the histology of the liver tissues nearly similar to the normal. Further study of hepatocytes enzymes showed that treatment with nimesulide also improved the antioxidant enzyme levels. Our study also examined the cytotoxicity and DNA synthesis inhibition by nimesulide in BEL 7402 and Hep G2 cell lines. Cell viability was assessed by [3H]-thymidine uptake procedure. 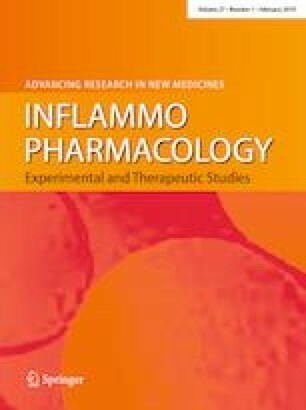 The results obtained by in vitro cell line study, histopathological and biochemical data concluded that nimesulide, a preferential COX-2 inhibitor, has anticancer activity, which is by first reducing the formation of reactive oxygen species and second by inhibiting the PGE2 effect via Wnt signaling pathway (cell invasion, angiogenesis, and cell proliferation). This research work was not funded by any organization. Manuscript is under compliance with ethical standard of journal.